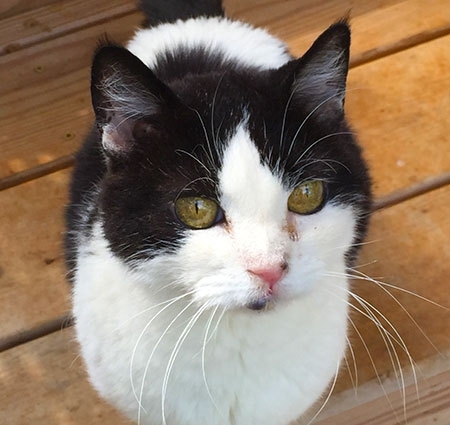 Mopsey was about 16 years old when she crossed the Rainbow Bridge. She came to our Sanctuary when her elderly owner passed away. Mopsey was the sweetest, most affectionate girl. She was a happy little cat and one of the first cats to claim your lap. Rest in peace Mopsey ... we love you.